Arthritis is a common condition that causes inflammation and pain to one or more joints in the body. This degenerative disease typically affects older patients because it results from the body’s natural breakdown of cartilage tissue. 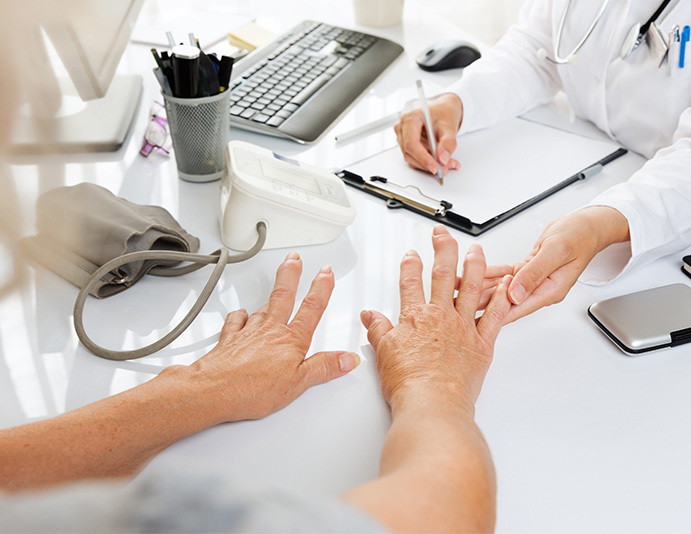 While natural wear and tear from aging is the most common cause of arthritis, there are many different conditions and ailments that can lead to this disease. For example, an injury, abnormal metabolism, infection, underlying condition, or immune system dysfunction can all cause arthritis. The two most common types of arthritis include osteoarthritis and rheumatoid arthritis. Depending on the type of arthritis a patient has, their signs and symptoms may include increased pain in the affected joint(s), stiffness, swelling, redness, and a decreased range of motion. At AFC Physical Medicine & Chiropractic Centers, our team may recommend a number of treatments to combat arthritis pain, some of which may include physical therapy, weight loss, chiropractic care, and more.